When you want to perform, display, or show a film, video, or TV program, whether it be as part of a course, at a group or club activity, at an organization event, or as a training exercise, you have to consider the rights of the those who own the copyright to the work you want to use. This consideration must be made regardless of who owns the video or where you obtained it. Copyright owners have certain rights, which are commonly known as public performance rights (PPR). When you're using a film, video, or TV program in a classroom for teaching or educational purposes, such performance or display of the entire work may be allowed without permission under the face to face teaching exemption at 17 U.S.C. §110(1). When showing a film in an online class, it may be considered fair use depending on how much of the film is being shown and for what purposes. If fair use does not apply, you will need a streaming license or view the film through a licensed streaming film provider. In most other cases, especially when the film, video, or TV program is being shown as part of an event, you need permission--often in the form of a public performance rights (PPR) license--to perform or show the copyrighted work. If persons attending are outside the normal circle of family and friends, such as a showing of a film by a club or organization. If the film is in the public domain. Because the UF Libraries acquires media to support the curriculum, and face-to-face teaching is exempt from public performance licensing, we do not typically secure public performance rights (PPR) with video purchases. However, many distributors of the videos we purchase include PPR in the purchase price. To search for videos in our collections that have been purchased with PPR, go to http://bit.ly/UFPPRFilms for a list of DVDs that can be shown in non-classroom settings so long as no admission fee is charged. You can further filter this list with subject terms, geographic limits, etc. by additional terms or using the “Narrow Results” filters on the left. 1. Contact the copyright holder directly, or contact the distributor. If the distributor has the authority from the copyright owner to grant licenses, to purchase public performance rights or to request permission for a particular public performance use, permission or license can be directly obtained. 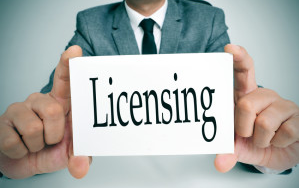 Contact your department's library liaison for additional assistance in locating the appropriate licensing agent for your particular film. Our student club wants to show a film but it is for educational purposes. There is a plan for discussion about the issues raised in the film after it's shown. Do we still need Public Performance Rights? It depends. Ordinarily, the showing of a film by a group or club is for entertainment purposes and thus PPR is required. However, if the group's purpose and activities are ordinarily educational nature and the showing of the film is in furtherance of those educational purposes and activities, then it may be fair use to show the film without PPR. What about a film series hosted by a group or club that is open to and advertised to the public? The showing of a film as part of a film series is viewed as entertainment even if hosted or sponsored by an educational group or club. No matter how educational the setting or how tied to the curriculum, this is generally considered not to be fair use and PPR must be obtained. I own the DVD that the club I am a member of wants to show. Do I still need to get PPR? It doesn't matter where the film you are planning to show comes from -- your own collection, the Library's or the corner video rental shop. The analysis is the same. If an exception under copyright law does not apply (e.g. fair use, face to face teaching), then you must obtain PPR prior to showing the film. What does "Home Use Only" mean? Does it mean I cannot show this DVD to my class? Under copyright law, copyright holders have the exclusive right of performing or displaying their copyrighted works, including films or videos. The "Home Use Only" warning at the beginning of most DVDs refers to this exclusive right of performance and display. However, the law also has an exception for performing or displaying works in a face to face teaching situation where the work being performed or displayed is related to the curriculum and only being performed or displayed for students enrolled in a course at a non-profit educational institution (such as UF). Therefore, under this exception, DVDs with the "Home Use Only" warning can be played in a face to face classroom. For online courses, refer to fair use for determining how much of the film can be shown. May I show clips of films to my students as part of a lecture? Generally, yes, this is permissible under fair use. Apply the four factors of fair use to determine whether the film in question may be used for this purpose and how much of the film may be shown. New exemptions under the Digital Millennium Copyright Act permit educators to "rip" clips from videos for educational purposes. The film I want to show is on Netflix. Can I stream this through my Netflix account in the classroom? Subscription services such as Netflix and Amazon have very detailed membership agreements that may forbid the streaming of subscribed content in a classroom or other public venue. When you agree to the terms of membership, you enter into a contract and the terms of that contract trump any applicable exception in copyright. Therefore, if the membership agreement with Netflix prohibits the showing of the film in a classroom, you are bound by the terms of that agreement even if the face to face teaching exception would otherwise allow it. We encourage instructors who plan to show films as part of their class, particularly when the class is taught online, to investigate the availability of films through Netflix, Amazon, Hulu, and other subscription or short term rental streaming services and to require their students to access that content on their own through their own subscription or account. Can I Show a Video to My Online Class? The Copyright Act at §110(1) (face to face teaching exemption) allows for the performance or display of video or film in a classroom where instruction takes place in classroom with enrolled students physically present and the film is related to the curricular goals of the course. The TEACH Act amendment to the Copyright Act, codified at § 110(2), permits the performance of a reasonable and limited portion of films in an online classroom. Under the TEACH Act, there is the express limitation on quantity, and an entire film will rarely constitute a reasonable and limited portion. Instructors may also rely upon fair use for showing films in an online course, although showing an entire film online also may not constitute fair use. Finally, the DMCA prohibits the circumvention of technological prevention measures (TPM) on DVDs and other media for the purpose of copying and distributing their content. Therefore, digitizing and streaming an entire DVD is not permissible unless an express exemption permits this. Currently, there is an exemption permitting faculty to circumvent TPM only to make clips of films for use in teaching and research. Docuseek2 - exclusive streaming platform for several documentary film distributors. Alexander Street Press Academic Video Online - thousands of videos covering topics such as counseling and therapy, education, opera, and ethnography. 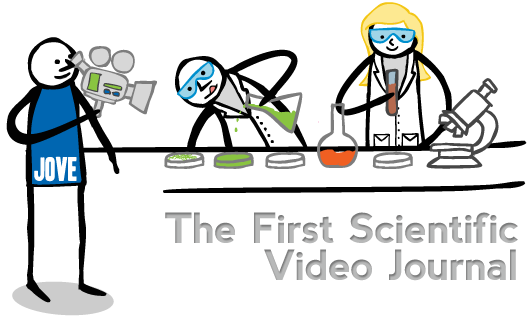 JOVE - The Journal of Video Experiments (JoVE) is a PubMed indexed video journal devoted to publishing scientific research in a visual format to help researchers. The Biomedical & Life Sciences Collection from HSTalks is a collection of over 1500 video lectures and animations prepared by leading experts in the fields of agriculture, biochemistry, genetics, immunology, and more. For a complete list of all the streaming video products subscribed to by the UF Libraries, please click here. Full length episodes from the acclaimed series. Teacher resources across the curriculum - short films on a variety of subjects. A National Preserve of Documentary Films about American Roots Cultures streamed with essays about the traditions and film-making. The site includes transcriptions, study and teaching guides, suggested readings, and links to related websites. A thoughtful collection of links to hundreds of Indie Films, Film Noir, Documentaries & More. The list includes films by directors like Fritz Lang, Alfred Hitchcock, Billy Wilder, Elia Kazan, Ken Loach, Sergei Eisenstein, Tarkovsky, Capra, Luc Besson, Godard, Hawks, Kubrick, and many more. A Project of the School of Library and Information Science at UNC Chapel Hill. The purpose of the Open Video Project is to collect and make available a repository of digitized video content for the digital video, multimedia retrieval, digital library, and other research communities. SnagFilms.com is a website where you can watch full-length documentary films for free, but also a platform that lets you "snag" a film and put it anywhere on the web." Searchable and browseable alphabetically or by topic. TED talks is large collection of recorded presentations from the TED (Technology, Entertainment Design) conference held annually since 1984 in Long Beach California. Talks are generally short and run the gamut of topics from biotechnology to astronomy to population to urban design and beyond. More than 1200 documentary films available for streaming. Subjects are varied and cover a wide range of personal, social, scientific, political, historical topics.